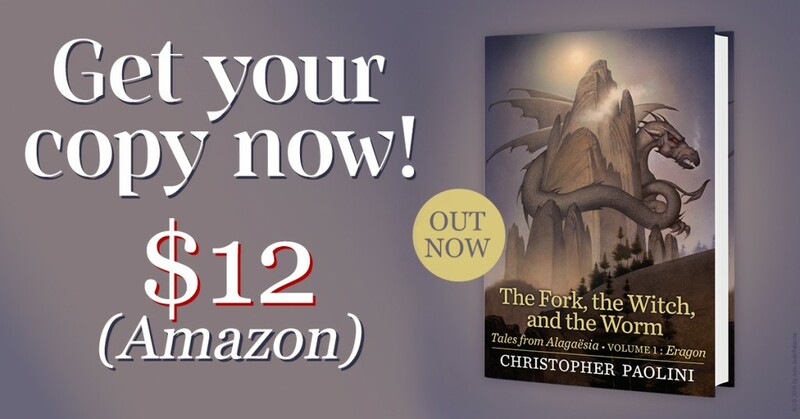 Christopher Paolini returns to the world of Alagaësia in a new collection of original stories interspersed with new tales and adventures following Eragon’s begins to take on his new roles and responsibilities in a post-Galbatorix world! This volume features three original stories set in Alagaësia, interspersed with scenes from Eragon’s own unfolding adventure. Included is an excerpt from the memoir of the unforgettable witch and fortune-teller Angela the herbalist… penned by Angela Paolini, the inspiration for the character, herself! 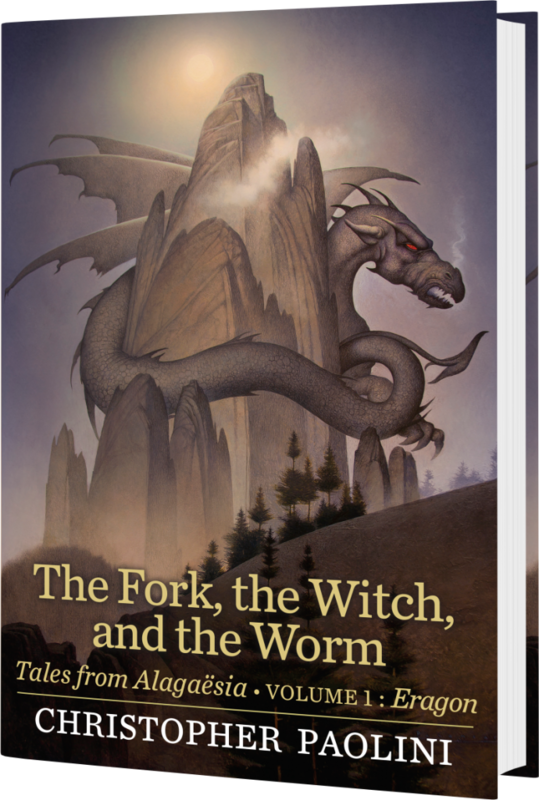 The book features four original illustrations from Christopher Paolini – three pieces of chapter art and a new map! United States (10-city tour): Beginning January 23rd, Christopher will visit: NY, VA, IL, GA, FL, CA, AZ, TX, TN. Visit our Book Tours and Events page for details. UK/Europe: Planned for spring – dates and locations to be announced at a later date.